INBs were introduced to me at TMC12 last summer by Megan Hayes-Golding. It was consistently the #1 response students stated on their evaluations as something I should continue doing in my classrooms. They are not bulky, students like the conciseness of the information we place in them, they helped students stay organized. 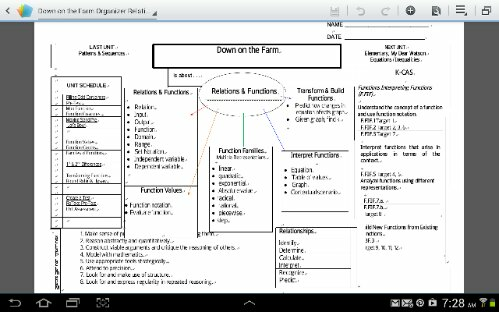 Using CWP (color with purpose), foldables, graphic organizers for note-taking allow students to develop skills that can carry over to future coursework. By creating assignments that require students to ‘interact’ with information helps them develop connections and retain the knowledge. Often times, we would complete an inquiry task in-class, then together create a summary of what we saw/learned. By using a variety reflection tools after completing a task, students are able to self-asess any questions that remain and we can address those misconceptions either individually or in-class. The TOC is imperative. For teacher accountability 🙂 and it allows students to quickly locate info in their INBs. One change I plan to make this year, is the addition of tabs as suggested in this post by Mrs. Hester. The only change I plan to make to her suggestion, is to use the unit title. I really like the EOC Review glossary she shared in the post. I believe using different techniques which allow students to interact with the vocabulary helps students develop deeper understanding of the words. I appreciate the complete glossary, but do I dedicate several pages at the end of the INB for this? What are some ways you incorporate literacy/vocabulary into your INBs? A KAGAN structure I used often in geometry this year was Developing Definitions. Examples/non examples of each term were posted around the room and students would carousel to each, creating their own definitions. There was a pair-share, then whole class follow up to discuss how they defined terms to ensure we were all on the same page. After the first time we used this task, students requested that we do it again. They said by having to come up with the definition on their own, they were able to have a real understanding of the terms. For a left-hand page assignment, we would often play “Draw What I Say” – another task from KAGAN. Students would play pictionary of sorts by using a prescribed statement incorporating specific terminology. I wonder if by having purposeful assignments within each unit of study focusing on specific terminology, then as a review prior to the end of a unit, allow students to complete those entries in the glossary, if this would have greater impact? Another idea that developed as the year progressed, were pockets. We began by having one pocket at the front of the INB. However, a student suggested to have other pockets throughout. This coming year, my intenions are to have a pocket at the beginning of each unit. Here is an example of a pocket. You still have room to place information. Possibly your essential questions for the unit, a concept map-brainstorm at the beginning, then revisit as a reflection and modify it at the end of a study? This pocket is super easy to construct! 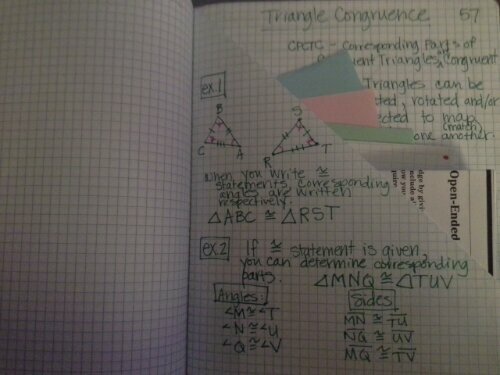 One of my favorite things I learned at TMC/Global Math! 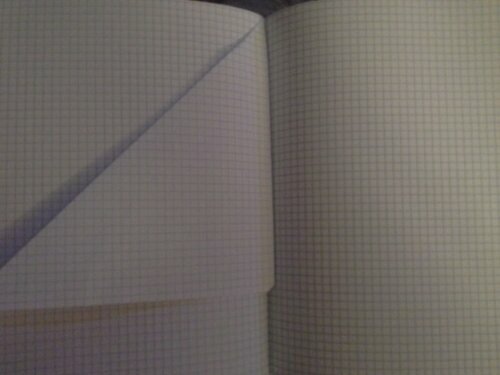 Simply fold top left hand corner down on a page. 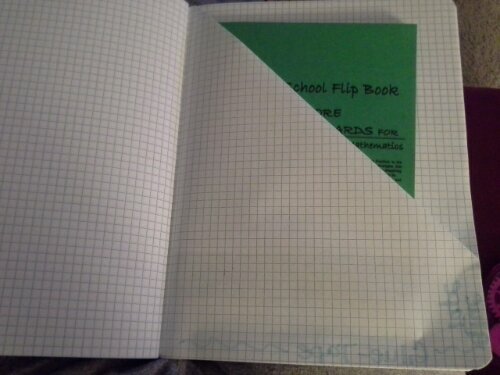 Place glue or add tape to the bottom and left edge of that page. Flip pocket top to the right and adher to the back of pocket. These pockets are much sturdier than I gave them credit to be. into a folded-booklet style which also includes a place for students to record their own learning progress. I am super excited about continuing use of INBs in my classroom and look forward to developing an even larger basket of ideas to make them even better learning tools for my students! I like the idea of highlighting the TOC content! Thanks! Have you had a chance to modify your unit organizer yet? I really love what I see (squinting my eyes!) I’m interested in implementing something similar! That is by far my favorite Unit Organizer-its based on the course and unit organizer routine out of Kansas. I did modify, you can look to Aug 2013, there are 2 posts sharing what I used earlier this year. Hopefully these posts will give you some ideas, links to others strategies. I am wanting to use INB’s in my Algebra I class next year but no of no one in my school or the surrounding schools that do this. Was TMC/Global Math a class you took or a conference you went to? Where was it held? Are they doing it again this year? I am nervous about implementing them without getting the questions I have about them answered. Hi Jacqi. Tmc is Twitter Math Camp and it is being held in Jenks OK last week of July this year like 25 – 29. Need to check my dates. 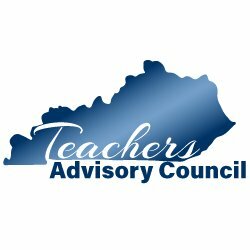 Its free PD by teachers, for teachers. Global math dept actually meets every Tuesday evening, someone or a group of people present kind of like a webinar. Bigmarker.com is ghe location of thenonline meetings and they are ree as well. You will likely be overwhelmed with all of their ideas, but amazing resources and suggestions. As you read, you can get a feel for whose style is most like yours. Good luck with this. 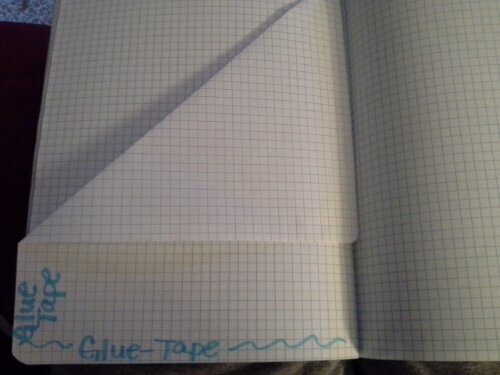 One of the best things I ever used as an instructional tool. Even my students comment that I should continue using them. Great for organization, keeps focused on big ideas, input/output idea helps students in processing information. Let me know If you have specificnquestions. Wow! So much great info here! Thanks so much for sharing! Will possibly begin implementing INBs this coming year! Soooo excited and overwhelmed at the same time! I used notebooks this year and I loved them and think my kids loved them even more. I feel it helps me organize the information they need to get. I also feel tabs will be an addition to next year this year I did vocabulary at the beginning of each unit some as frayer models some as flash cards each time we did it a little different so it worked for a variety of learners. This seemed to help them as they were going through the unit if they forgot what something meant. I like the carousel idea for vocabulary my kids love working around the room. Thanks for sharing.